No frame, this art by large size, we can only ship it wihout frame to protect the painting during shipping. The pictures show online are taken from actual painting which are made from our studio. If you have any questions about this product by Seekland Art, contact us by completing and submitting the form below. If you are looking for a specif part number, please include it with your message. 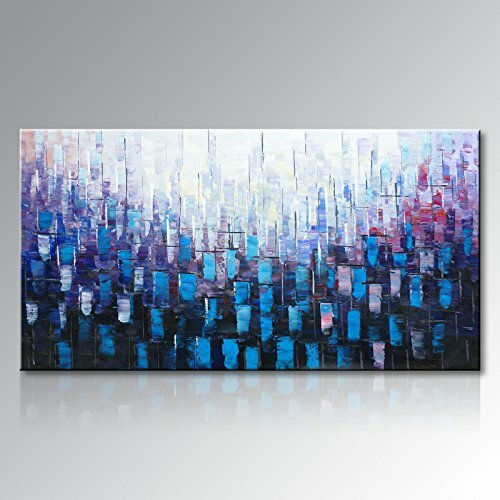 DecorArts - Abstract Art( Inner Melody series), Giclee Prints abstract modern canvas wall art for Wall Decor. 30x24", Framed Size: 33x27"